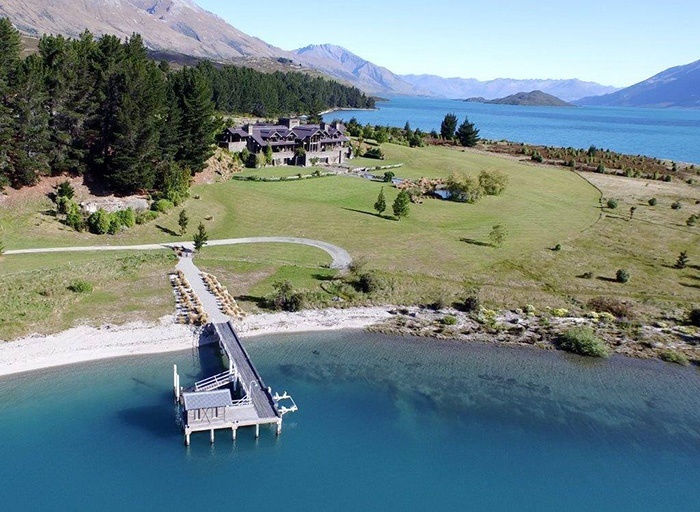 Nestled in the Central North Island's secluded Taharua Valley, in 16,000 acres of private wilderness, is one of the world's finest sporting lodges, Poronui. 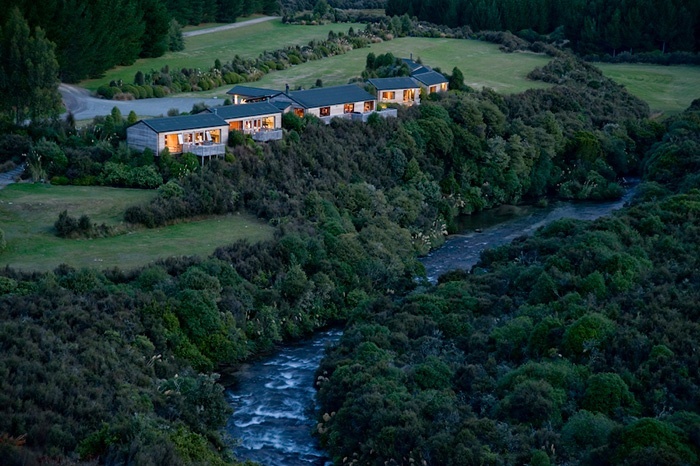 The main lodge building is perched above the 'home pool' on the Taharua River and has 7 individually-appointed guest cabins. Set away from the lodge, on a promontory overlooking the river, is Blake House, available to guests on an exclusive basis. 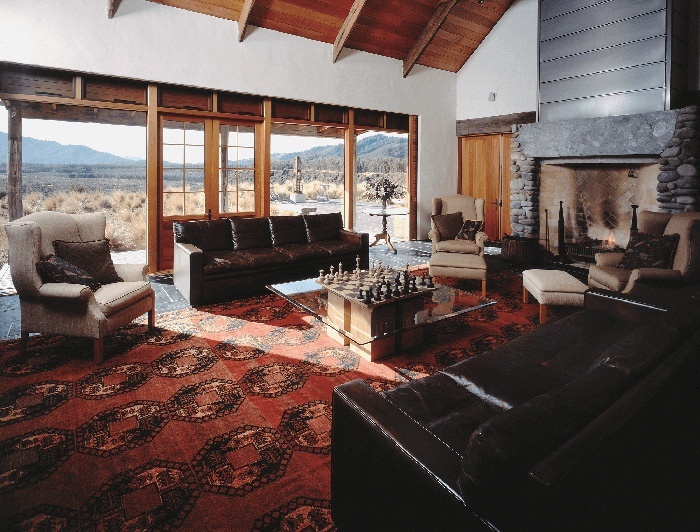 Designed by renowned New Zealand architect John Blair, Blake House features two expansive lounges both with soaring ceilings and huge open fires, two stunning suites (positioned at each end of the house), and superbly-appointed kitchen, dining area, library and den. 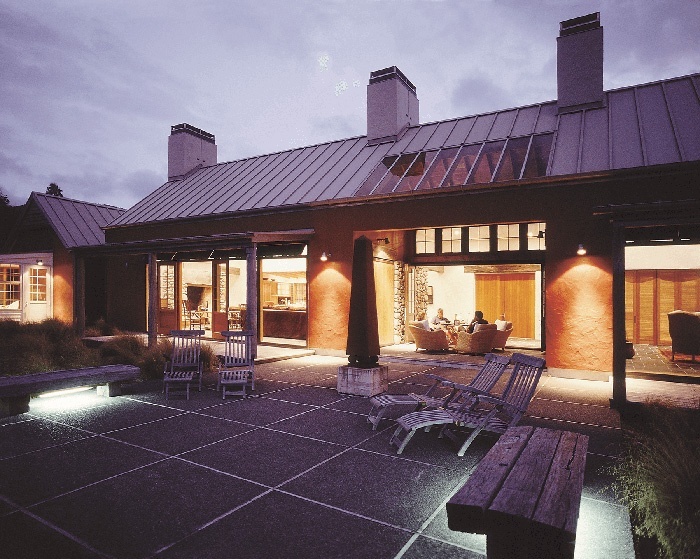 Poronui also boasts a modern sports and relaxation centre, The Stables. Built around a courtyard in the style of a traditional barn, The Stables encompasses gym and health club facilities, steam, sauna, and massage treatment rooms, and a Snooker Room with a full-sized antique billiard table. There's also two rustic, beautiful dining areas (an outdoor barbeque/cabana and an atmospheric underground wine cellar), and close by is an archery field and Olympic-standard sporting clays course. 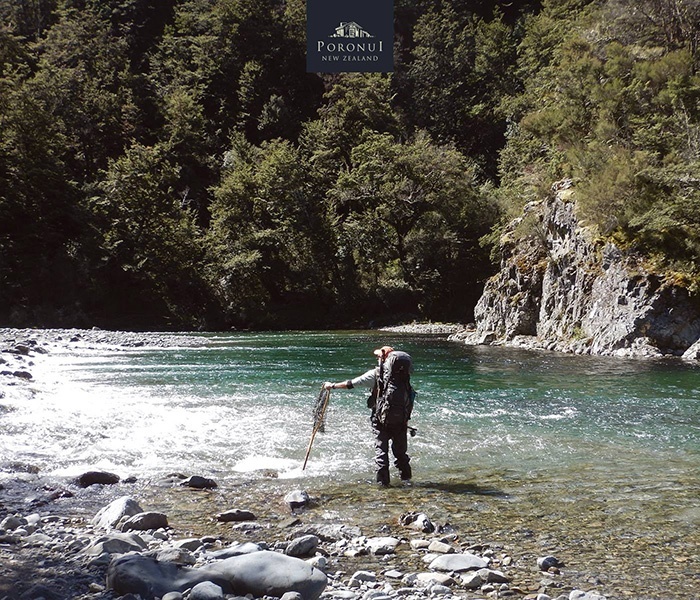 Poronui is an historic fly fishing lodge of some renown - this is the place to experience the sport of stalking and sight casting to trout in shallow, clear waters. 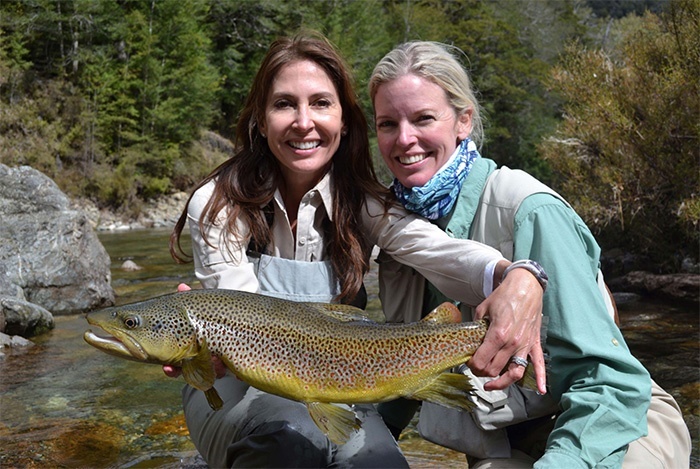 But as well as more laid-back, classic fly fishing, you can also test your skill with some of the most legendary, challenging fly fishing in the world. Take a helicopter flight deep into the mountains surrounding Poronui. These are trophy waters, where huge trout cautiously cruise in deep, clear pools. The fish can be picky, and the angling can be technically difficult - demanding stealth, knowledge of the current and an accurate cast - but the reward could be the catch of your lifetime. 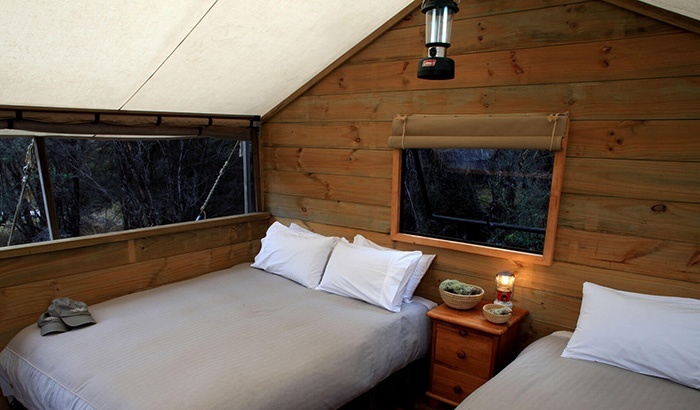 For the ultimate outdoor adventure, stay overnight at one of Poronui's streamside camps. Whether cosy in a mountain hut or sleeping under canvas, the experience of a star-littered sky above, the crackling of the campfire, and the sound of nearby flowing water - holding the promise of tomorrow's fishing - is unbeatable. 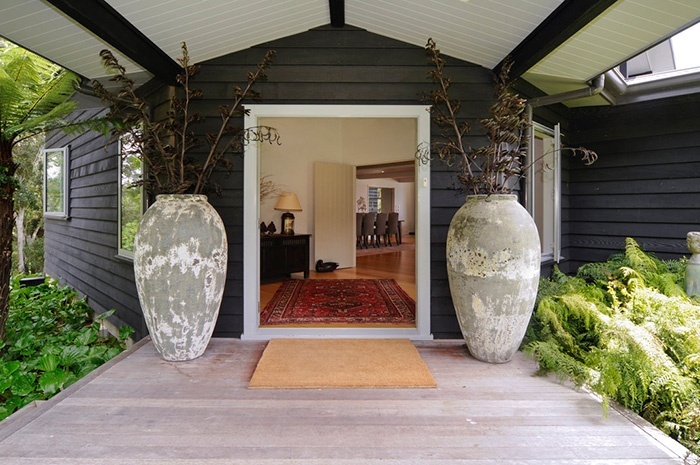 On the shores of tranquil Lake Rotoehu, Rotorua sits the slightly smaller but still top-quality Wildwood Lodge. Wildwood caters for no more than six guests at any one time, in one of two expansive suites, and a 70 square metre guest house. All three accommodations are set right on the water with stunning lake views and without any other home or property in sight. The lodge itself takes from the best of both classic and contemporary - with modern architecture, art and sculpture alongside authentic Persian rugs and genuine 18th Century English Oak furniture - and the atmosphere is one of understated elegance... refined yet relaxed. 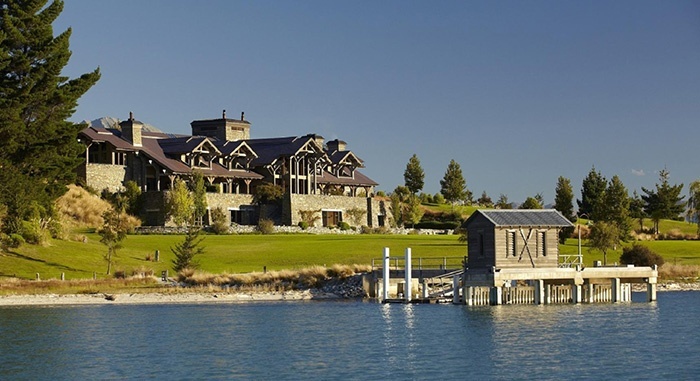 As with most New Zealand luxury lodges, Wildwood offers a fully inclusive tariff - your stay includes hearty gourmet breakfast, pre dinner canapés and a complimentary bar, followed by a three course dinner and a wonderful selection of complimentary wines from Wildwood's 1000 bottle cellar. But enough about your accommodation - what about that fishing? 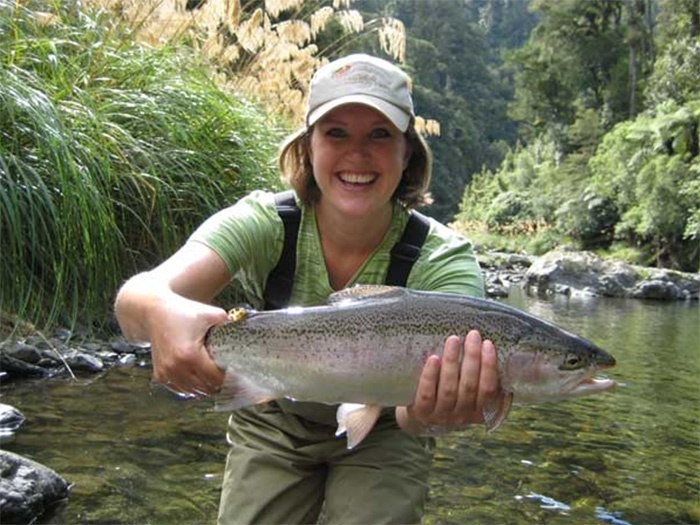 Well, Rotorua has twice hosted the World Fly Fishing Championships - so rest assured, the angling is phenomenal in this area. 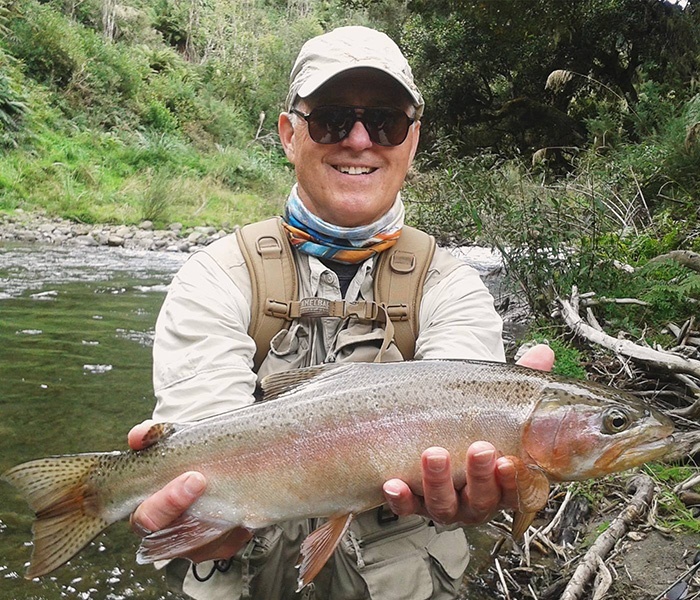 And Wildwood's Trout Fishing Safaris will take you by 4WD, float plane or helicopter to cast your line in the most magnificent wilderness rivers and streams the Central North Island has to offer. 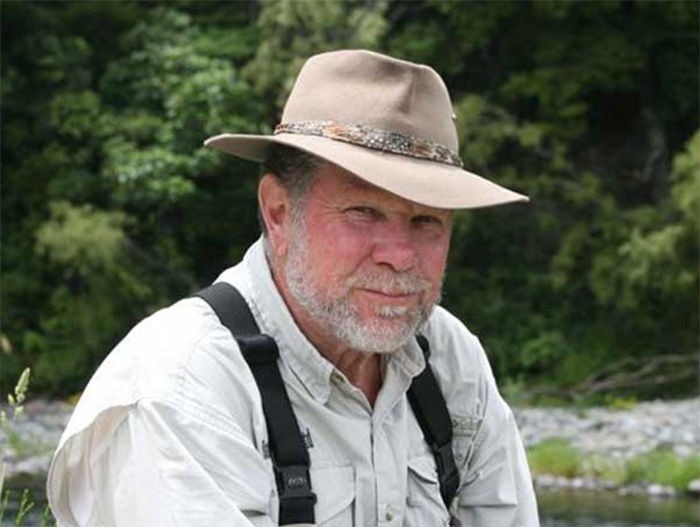 A 15-minute chopper ride will get you to completely remote areas that can take three days to cover on foot, so you can spend dawn to sundown casting your fly in the most untouched fishing spots, hosted by Wildwood's owner Simon Robertson - himself one of New Zealand's most respected fly fishing guides. 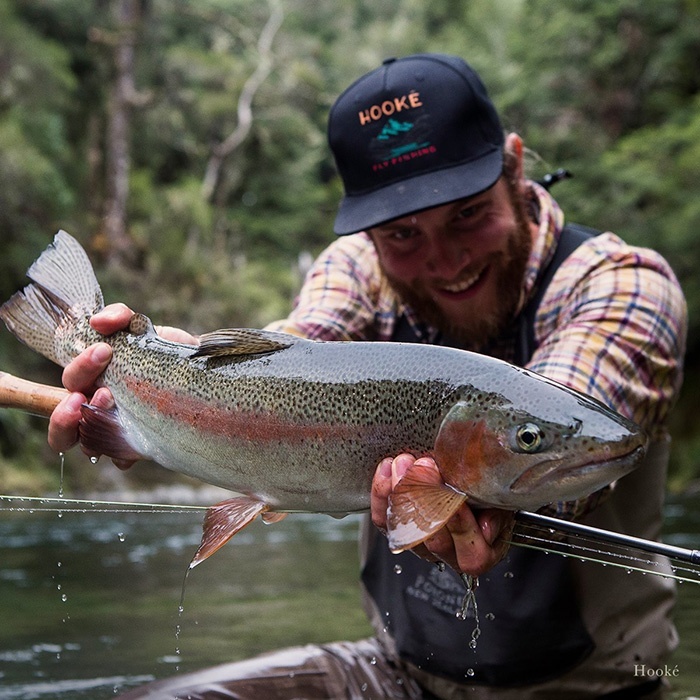 Wildwood can kit you out completely from their world-class tackle room, and keep you fuelled for your day of sport fishing with refreshments including NZ beer and wine, and excellent lodge-prepared lunches to enjoy riverside. 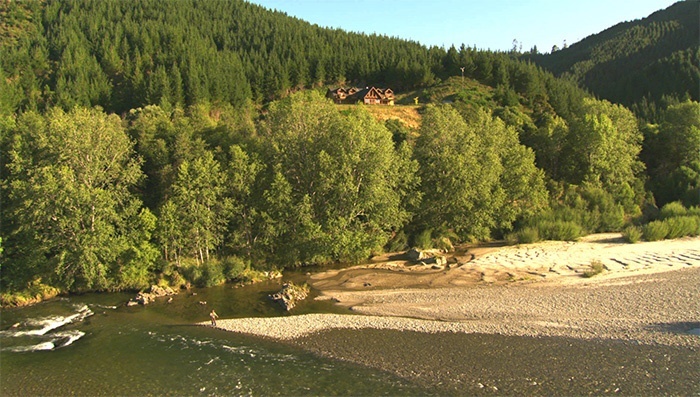 We recommend the Four Night, Three Day Ultimate Fishing Package (which includes a river rafting fishing adventure!) but, working with Wildwood, we can also tailor-make you a Fishing Safari that suits your level of experience, your budget, and how much time you have. 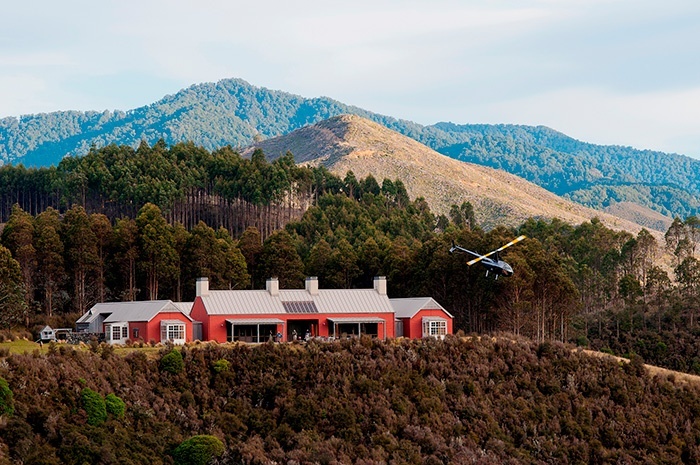 On the banks of the Motueka River, within 150 acres of private forest just out of Nelson, sits the 5-Star Stonefly Lodge. 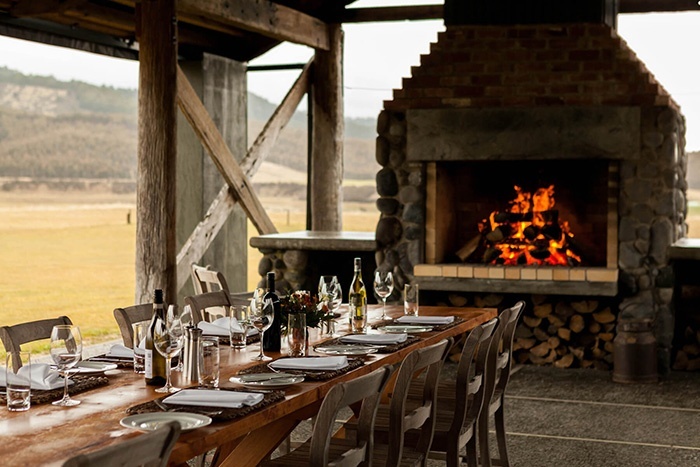 The lodge - built from natural stone and timber acquired from the land surrounding it - is totally self-sufficient in terms of power, water and waste, and has been listed in the top 10 Eco Lodges across Australia and New Zealand. Quality accommodation is provided in just four guest rooms, all with private balconies that overlook the river and gaze out to the Mount Arthur Mountain Range beyond. 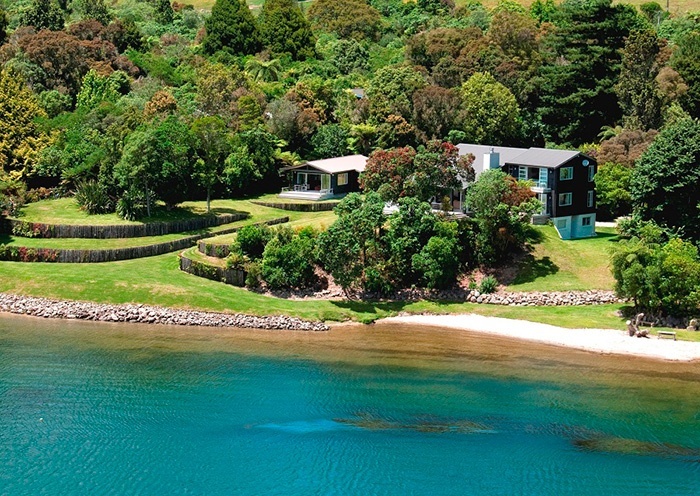 This is your base from which to explore three of New Zealand's major National Parks (including perhaps our most stunning - the Abel Tasman), all the fabulous wineries the region is renowned for, and - of course - world-class fly fishing. 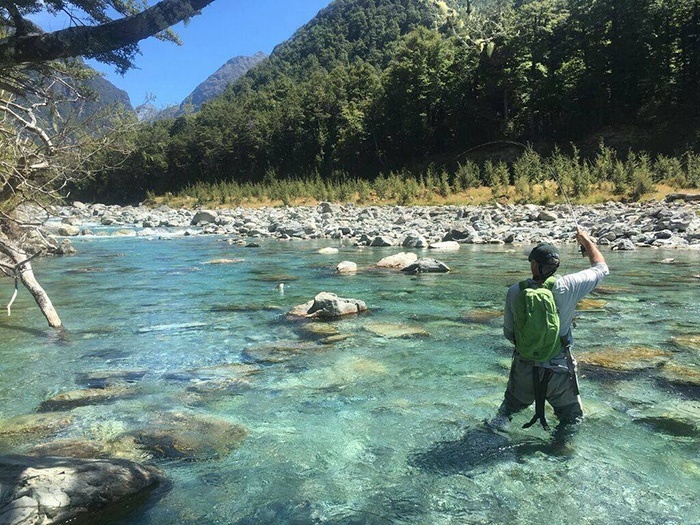 The Motueka River (Stonefly Lodge's 'backyard') supports one of New Zealand's highest trout populations, and recent drift dive studies indicate populations of 100-500 trout per kilometre! 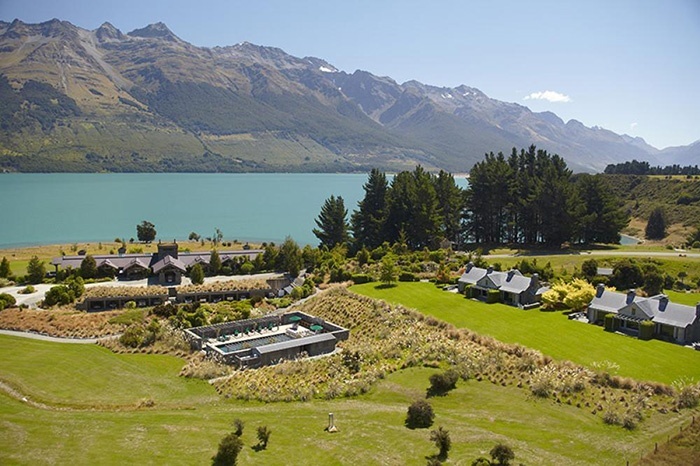 The Lodge is also located near to both Kahurangi and Nelson Lakes National Parks, covering the north-west corner of the South Island of New Zealand. 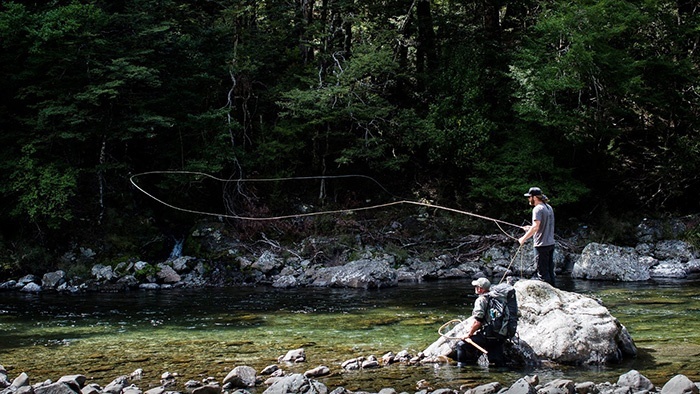 The one million acres of wilderness that is the Kahurangi National Park is home to some of the most spectacular high country and isolated fly fishing river systems in New Zealand and indeed the world. 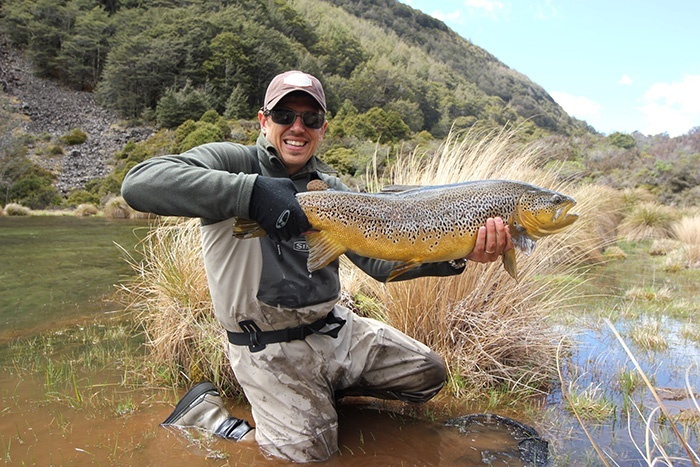 The Karamea, Roaring Lion, Crow and Mohikinui Rivers are just some of the world-renowned waters nearby, where trophy brown trout await (catches of 7-pounders and larger are common here!). Nelson Lakes National Park is mainly a no-fly zone, so 4WD is the main method of access, with some additional exciting backcountry rivers accessible by boat across the lakes. There sheer variety of waterways fishable in this region offers a myriad of experiences - from relatively gentle flowing, easy access rivers to more adventurous back country streams requiring skilled casting and a greater level of fitness. Consistently voted one of the world’s best Lodges by prestigious worldwide media, Blanket Bay was actually born from and designed around the owner's love of fly fishing. 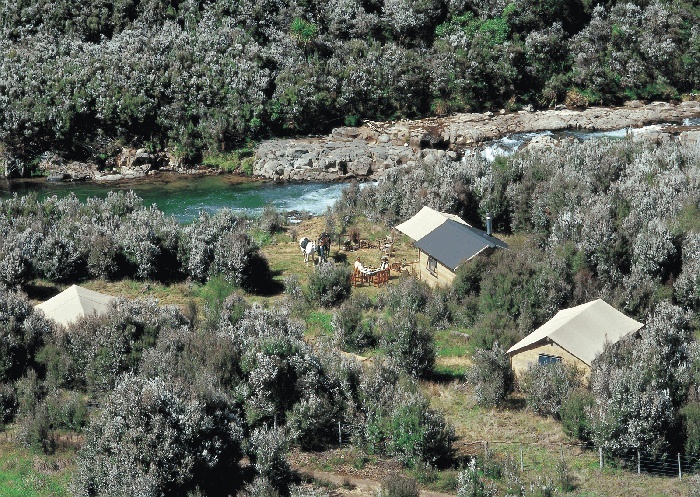 Its location is close to several of New Zealand's most iconic trout fishing spots, including The Greenstone and Caples, and you have your pick of fishing grounds here - slow moving pools, fast runs and riffles, bush-clad streams, open river floats and more... This is stalking and sight fishing at its absolute finest! The river fishing season here is November through to May, with excellent nymph fishing during the early season, and superb dry fly and nymph fishing during the summer months. It's all about Quality over Quantity at Blanket Bay - a good day's fishing might be only 3 or 4 fish, but chances are good that they'll average over 5 pounds each! 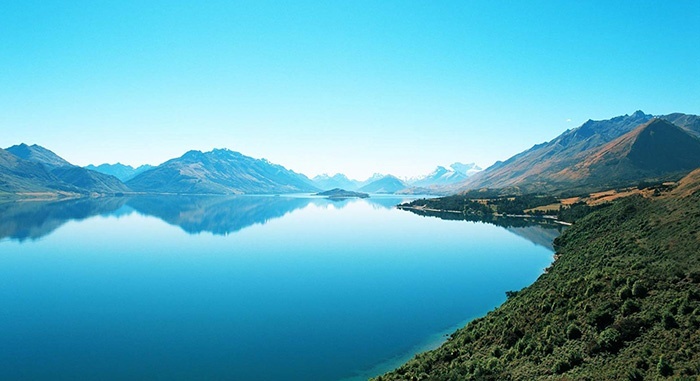 If you're visiting outside the season, Lake Wakatipu - fishable year round - is home to Brown and Rainbow Trout and land-locked Quinnat Salmon. Whether you're an absolute beginner or an avid angler, Blanket Bays resident guides will tailor a world-class fishing adventure for you. From the front lawn of Blanket Bay Lodge, you're just 15 minutes by helicopter from some of the world's most pristine, untouched fly fishing waters. The guides here can take you to stretches of water possibly not fished this season by any other angler, where you can stalk wild Rainbow and Brown trout. One of the great day trips from Blanket Bay takes you to Fiordland for a combination of jaw-dropping scenery and unsurpassed fishing on three different rivers. The Lodge itself is surrounded by some of the most breathtaking scenery you'll ever see. To the north, magnificent views of Mount Earnslaw. 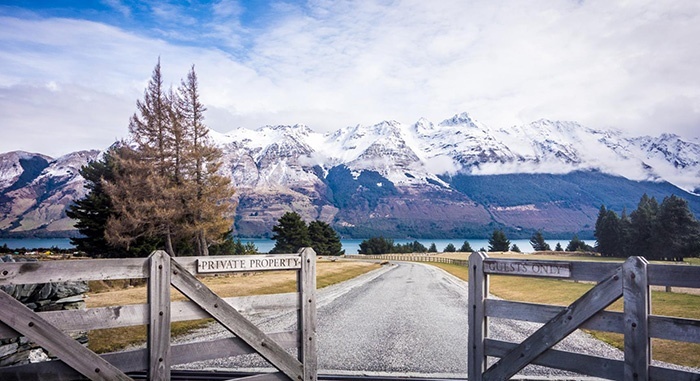 Further along, stunning views of Lake Wakatipu open up on your left, and looming ahead across the lake is the grandeur of the Humboldt mountain range. The spectacular Great Room is one of the best spots to enjoy the view, with its thirty-foot high bridge beam ceilings and massive windows. 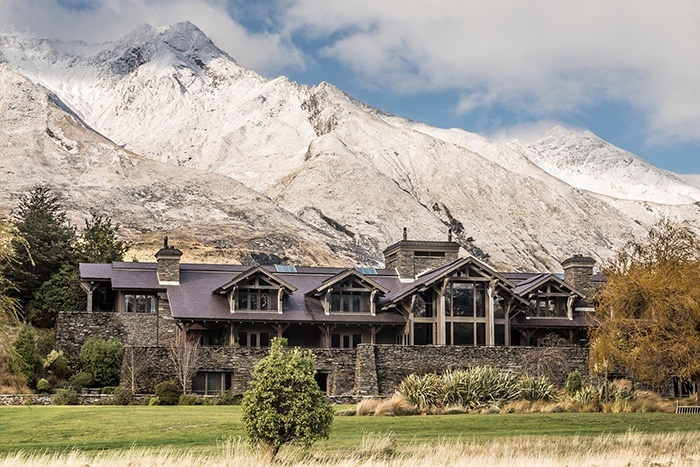 The main lodge, built from native New Zealand timber and stone, features a separate breakfast dining room and elegant evening dining room, secluded wine cave and schist-stone lined wine cellar, games room, modern gym, and a sprawling terrace with massive outdoor fireplace. Make time to witness at least one sunset here on the terrace, watching the sun dip behind the magnificent snow-capped peaks). No expense has been spared in the guest suites and chalets, and each features its own private balcony or courtyard, stone fireplace, walk-in closet and vast bathrooms with separate steam showers and bathtub. A new separate residence, The Blanket Bay Villa, was completed in December 2017 and is a masterpiece of architecture. It comprises four huge king suites each with magnificent views, and shared spaces centred around the villa's grand lounge and bar. In the evening, lounge on the outdoor terrace before the roaring fire pit and soak the twin hot tubs.